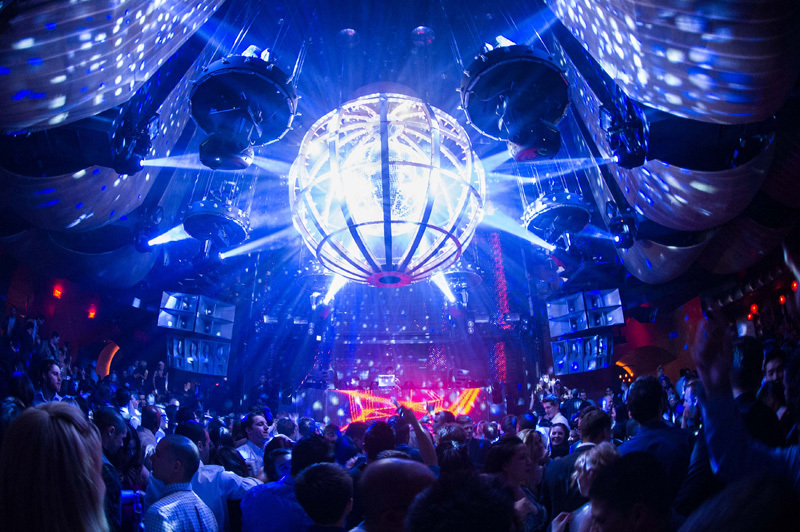 Marquee Nightclub located inside of the Cosmopolitan Hotel has seen that most nightclubs in Las Vegas have made a b-line towards booking the top EDM DJ's in the world and has found its niche as the top Hip-Hop nightclub in the “Boom Boom Room”. Don't get us wrong, it still plays EDM regularly but its not limiting itself to just that genre. Headliners like Travis Scott, Lil Jon & French Montana are all regulars their roster. This has helped make them one of the best nightclubs in Sin City. Marquee Nightclub has one of the best main rooms in all of Las Vegas. The atmosphere is eclectic. The table areas are roped off with their own security staff so the general public does not have access to these VIP areas. Groups that get bottle service have the advantages of receiving their own table, areas to sit and dance, beautiful waitresses & wait staff. Also, bottle service reservations have a separate expedited entry into the club.